bringing a truly non-ghosting product to creative teams and office spaces. Traditional Whiteboards and Dry-Erase Paints. 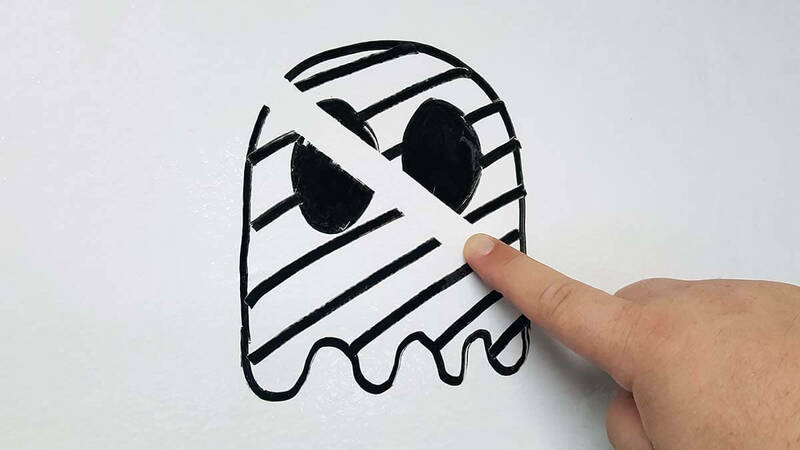 If you have used a traditional whiteboard or a dry erase paint in schools, offices or conference rooms – you’re already familiar with the problem of ghosting. They look great for the first few months, then slowly but surely, they start to stain and ghost. That after-shadow effect that turns whiteboards into not so whiteboards. This is due to the ink from dry-erase markers being left on the writable surface too long, creating a bleeding effect that saturates the surface. This occurs due to several reasons, for example using the wrong type of dry-erase pen or erasing before the ink has time to dry. Cleaning the surface with a dirty eraser or using the board or paint too frequently can have the same result. 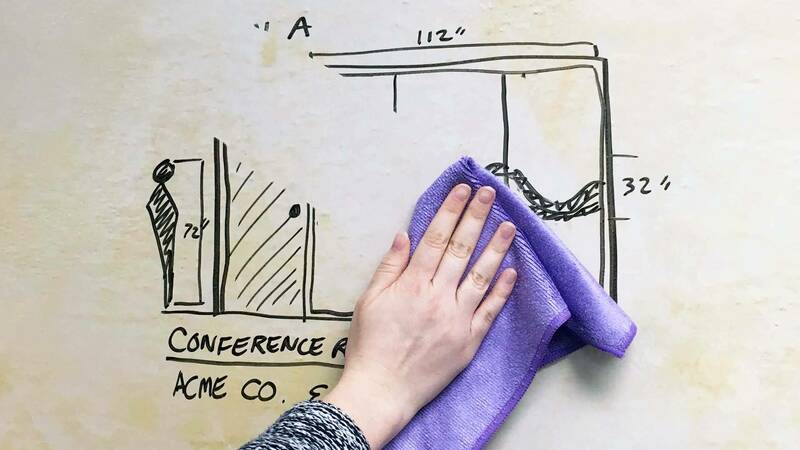 There are ways to clean up whiteboards to remove the ghosting, but even these methods quickly become less effective over time, inevitably leaving you with darker and darker surfaces. Glass whiteboards, or glass writable surfaces do not suffer as much as standard boards or dry-erase paint solutions. Unfortunately, they are also heavy, require professional installation and are often very expensive. Furthermore, not everyone wants to write on a transparent surface, so they aren’t always the best alternative to traditional solutions. peerhatch is patented technology that truly provides a non-ghosting system that you can rely on time after time. If you’ve read our story, it is notable how much of a leading factor ghosting was in the development of peerhatch. It was seeing ugly shadowing on writable surfaces in offices and conference rooms (bringing down the look of otherwise beautiful spaces) that led Kelly Taylor to creating the remarkable peerhatch. After more than two years of research, development and testing – we finally cracked the code. It was more important (compared to other products) for us that there was no shadowing, staining or ghosting as under the dry erase coating we have a graphic branding layer to the wallcovering that elevates the need to maintain a clean presentable wall. With peerhatch, you can leave dry-erase up for months and it will still wipe off with ease, ghost free! Order a free sample to test for yourself in the comfort of your own office. We have even tested permanent markers to see just how good a product we had. If caught right away, it will wipe right off. Though if permanent marker is left longer (we tested for a month! – Watch the video here) a simple alcohol solution and a wipe leaves it looking brand new again.